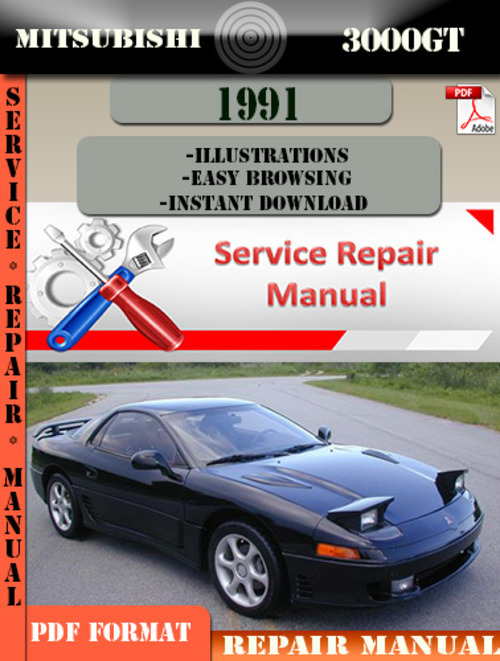 A COMPLETE Mitsubishi 3000GT 1991 Repair/ Service Manual,the same available in the official dealers workshop. It contains detailed instructions and step by step diagrams for all workshop procedures; everything from changing the plugs to electrical diagrams, torque settings, fluid capacities etc. This manual is packed with all the information you need and also is very simple to use. This manual covers every part of your car and its the same used by your mechanic in order to repair your Mitsubishi 3000GT 1991. Our service manual aims to fulfill your every request. From engine to oil, from two to four to eighteen wheels, we`ll help you get your baby back on the road. Our main goal as a brand was to ensure that the people who contact us get what they want. This file is sold by onlineservice, an independent seller on Tradebit.